Pre-owned watches are intriguing thanks to their history. You can often find treasures amongst vintage watches whose values have only increased over time. Moreover, pre-owned models are often significantly less expensive than their new counterparts. Purchasing a used watch no doubt has its charm. On the one hand, it helps you save money on many luxury watches. On the other, scratches or faded bezels or dials add character to a wristwatch. Collecting vintage watches can even become a hobby, especially for Rolex lovers, as there are so many popular and unique Rolex watches for men. 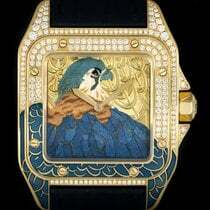 Many old watches are so rare that they sell at astronomical prices. A Rolex Daytona Paul Newman from the 1960s or 70s, for example, costs at least 90,000 euros, even though it originally didn't even sell well. Another rare vintage watch, the Rolex Submariner, has undergone a similar price development. So-called "Big Crown" versions from the 1950s, one of which James Bond wore in the 1962 film Dr. No, cost between 60,000 and 400,000 euros, depending on their condition. This Rolex watch with a big crown and no crown guard can be found via reference number 6538. Two other variants of the Rolex Submariner are just as rare and sought after: the COMEX and Red Sub models. The Red Sub watches, produced from the late 1960s to the mid-1970s, can be identified by a red "Submariner" inscription on the dial. The COMEX models are professional diving watches that Rolex developed for the Compagnie Maritime d'Expertises, who specialize in diving and other deep sea work. The price for a COMEX Submariner ranges between 50,000 euros and 215,000 euros. A Red Sub costs significantly less – between 12,000 and 46,000 euros – making it the perfect introductory timepiece into the world of vintage Rolex watches. How much do pre-owned watches cost? Like new watches, second-hand watches are found in every price class. Prices range from a few hundred euros for a pre-owned Omega women's watch to a few thousand for a pre-owned Rolex to hundreds of thousands of euros for a pre-owned Patek Philippe in very good condition. You can often find good deals on newer models from brands such as Breitling or TAG Heuer which haven't yet made it into the "very desirable" vintage watch category. With a little luck, you can find a pre-owned Navitimer, one of Breitling's most famous chronographs, with an automatic caliber for around 2,000 euros. A new Navitimer 01 with an in-house caliber costs around 5,000 euros. The legendary TAG Heuer Carrera, originally developed for car racers, is similarly priced. Pre-owned automatic watches without a chronograph function go for less than 1,000 euros; the chronograph version costs at least 1,500 euros. For new versions, you should be prepared to spend about 1,500 euros for a three-hand variant or 2,500 euros for a chronograph. Another iconic TAG Heuer timepiece is the Autavia, which the company re-released in 2017. There is a small selection of pre-owned Autavia re-releases, but there are many older Autavias in the vintage market. You can purchase a 1970s Autavia starting at 3,800 euros. Rarer models from the 1960s can cost you over 25,000 euros. The most famous models from Omega are the Speedmaster Professional, the first watch to reach the moon, and the Seamaster, a diving watch. A quartz Seamaster Diver 300 M with a unidirectional bezel to keep track of your dive time can be found in very good condition for as little as 1,300 euros. The version with an automatic movement costs more, about 1,500 euros. A highly sought-after collector's piece is the limited edition Seamaster 300 Spectre, introduced in celebration of the 2017 Bond film, Spectre. Only 7,007 of these watches were produced, and the original list price in 2015 was 6,200 euros. Currently, however, you should plan on spending at least 7,000 euros for a pre-owned Spectre timepiece and 9,000 euros for a new one. The Speedmater Professional chronograph, also known as the Moonwatch, is an affordable choice, available for as little as 2,500 euros pre-owned and in very good condition. A beloved collector's piece is the Snoopy (reference number 3578.51.00), which was released in 2005 and limited to 5,441 pieces. This timepiece only costs 9,500 euros pre-owned and in very good condition. The special edition Speedy Tuesday, limited to a run of 2,102, has a list price of 5,400 euros. However, only a few months after its release, the timepiece was selling for 8,500 euros new on Chrono24. Luxury watches made by Audemars Piguet are some of the finest timepieces in the world. The Le Brassus-based manufacturer is in the same league as other world-renowned Swiss manufacturers like Patek Philippe. One of Audemars Piguet's most famous models is the Royal Oak, originally a stainless steel sports watch. Its design has remained unchanged since its introduction in the 1970s, adding to its popularity and appeal. 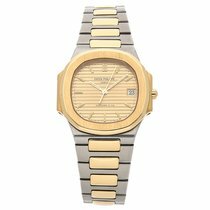 Pre-owned women's watches with quartz movement are available for an affordable 2,000 euros. However, if you want an automatic watch, you should be prepared to spend at least 3,000 euros. Prices for pre-owned men's watches from this series start at 4,000 euros for quartz versions and 6,000 euros for automatic watches. Like Rolex timepieces, Panerai watches have a strong resale value. To earn as much as possible, it's advisable to replace the strap. It's quite easy to do so, especially with the Luminor. However, the Radiomir, Panerai's second-most important model series, is a bit trickier due to the wire loop straps. Often, pre-owned models are only a few hundred euros less expensive than new timepieces. You can purchase a pre-owned Luminor Base in very good condition for around 3,400 euros. Luminor Marina watches with subsidiary seconds at nine o'clock start at 3,600 euros. New versions are only marginally more expensive. The same applies to the Radiomir, which, unlike the Luminor, does not have a crown-protecting bridge. 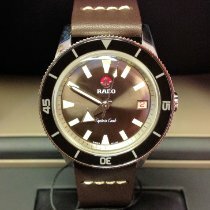 Pre-owned Radiomirs start at 3,500 euros.